(Jonesboro, Ark.) Aug. 9, 2018 — Hytrol, in conjunction with Master Group, helped students and teachers at northeast Arkansas area public schools start the year with a stocked supply closet. The businesses joined forces to donate pencils, glue sticks and cases of paper to the schools. 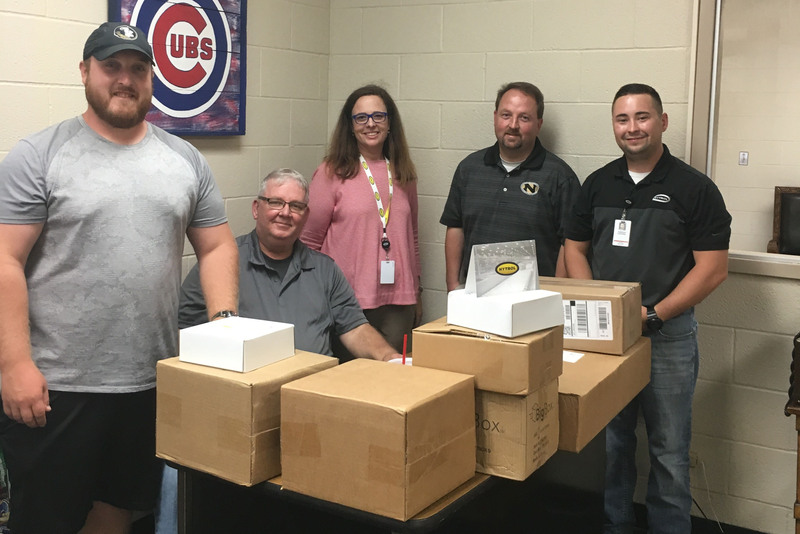 Representatives from Hytrol delivered nearly 10,000 pencils and glue sticks, along with a case of paper to schools in the area. The cases included white copy paper and multi-colored options for the teachers to use. Master Group worked with Mac Papers for the paper donation. Hytrol designs and manufactures advanced conveyor systems, controls, and solutions for customers with processing, manufacturing, warehousing, and distribution needs. For 70 years, Hytrol has demonstrated an unwavering dedication to understanding the unique material handling needs of businesses. Hytrol is focused on creating innovative, customized conveyor solutions that help companies achieve their goals. Follow Hytrol on Twitter @hytrol.